XENGO for CBC, a revolutionary and compact Mobile payment solution which consists of an external card reader (Xengo) and the XENGO for CBC, application on the smartphone or tablet. This enables merchants to receive credit and debit (Maestro, Visa, VPay, MasterCard) card payments wherever they go. The card reader and related contracts can be ordered via Worldline. 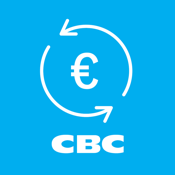 The setup of the terminal can be done in three easy steps: - Download the XENGO for CBC, application on your smartphone or tablet - Connect the smartphone with the card reader by using the Installation Guide - Configure the XENGO for CBC, application with your contract information obtained from Worldline, the publisher of the app. When this initial setup is finalized, you are ready to perform transactions by simply opening the smartphone application and introducing a sale transaction.